Yesterday I ran in the Jumbo-Holdsworth race. 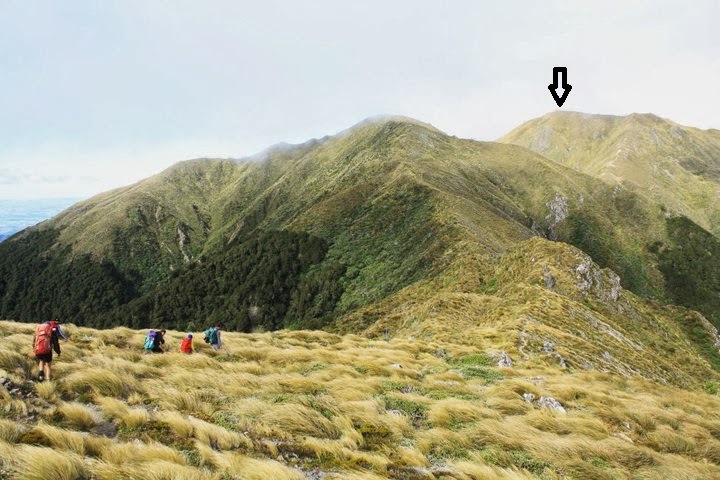 This is a 23km mountain run with a nice run along a river valley, some serious climbing as you head from Atiwhakatu Hut to the peak at Jumbo, along the ridge from Jumbo to Mt Holdsworth and then downhill to the finish. I knew my legs were tired and not is great shape so I took it easy along the valley. I felt alright as I climbed 900 vertical metres to the summit of Jumbo. I even passed a few people on the ascent. Between Jumbo and Holdsworth there are three climbs and it was only on the second climb along the ridge that my legs started to say, “Hey mate, we feel stuffed.” However, being able to see the trig that marks Mt Holdsworth, you tell your legs to keep on going and soon you arrive. I arrived at the end with a slower time than when I last completed the race, but my second quickest time for the seven times I have run the event. I was happy to have finished. The Black Rock pork sausage is pure pork. It tastes good, and when I cooked (and sampled) them the night before, the sweetness of the pork was the paramount flavour. It is a medium grind and tastes good between the teeth – you know you are eating a quality pork sausage. I will buy this sausage again.